Dealer Disclosure: Sales Tax, Title, License Fee, Registration Fee, Dealer Documentary Fee, Finance Charges, Emission Testing Fees and Compliance Fees are additional to the advertised price. 2018 Jetta-Price is reflective of Dealer Cash ($2,000 for ALL trim level models) 2018 Passat-Price is reflective of Dealer Cash ($4000 for S, SEL, and Rline. SE, and SE with Tech $4500) 2018 Tiguan LE-Price is reflective of Dealer Cash ($3500) 2018 Beetle Coupe-Price is reflective of ($1000) in Dealer Cash. 2018 Beetle Convert.-Price is reflective of ($500) in Dealer Cash. 2018 Golf GTI-Price is reflective of Dealer Cash ($2500 on all trim levels) 2018 Golf-Price is reflective of Dealer Cash ($1,500 for S/Wolfsburg, $2000 for SE/SEL). 2018 Golf SportWagen and Alltrack-Price is reflective of Dealer Cash ($2000 for Sportwagen and $3000 Alltrack). 2019 Jetta-Price is reflective of Dealer Cash ($500 on all trim levels). 2018 Golf R-Price is reflective of dealer discount. 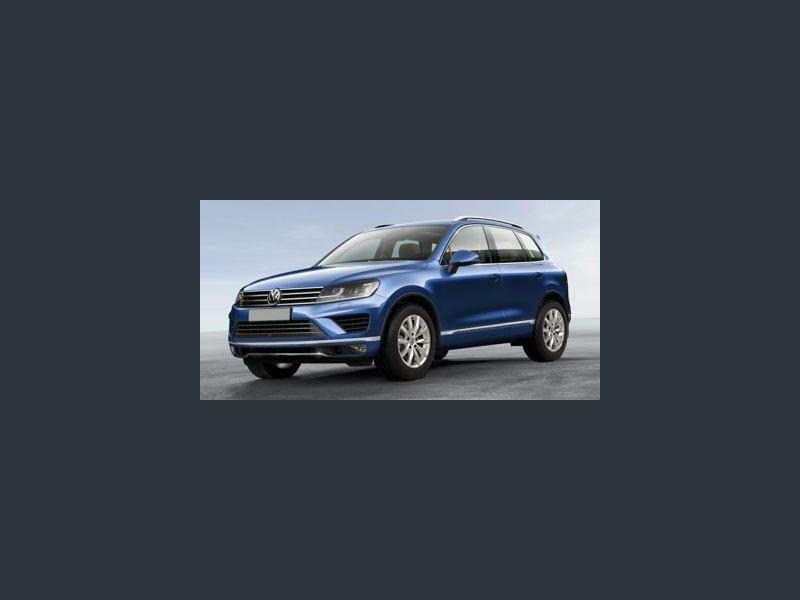 2018 Atlas-Price is reflective of Dealer Cash ($1000 on ALL trim levels) 2018 Tiguan-Price is reflective of Dealer Cash ($1750 on ALL trim levels). See your dealer representative for full details. Hi, I'm interested in your New 2017 Volkswagen Touareg Wolfsburg Edition listed on Autotrader for $54,125. I'd like to get more information about this vehicle and confirm its availability.